Instead of dying and hiding eggs this Easter, use them to make deliciously frothy cocktails. 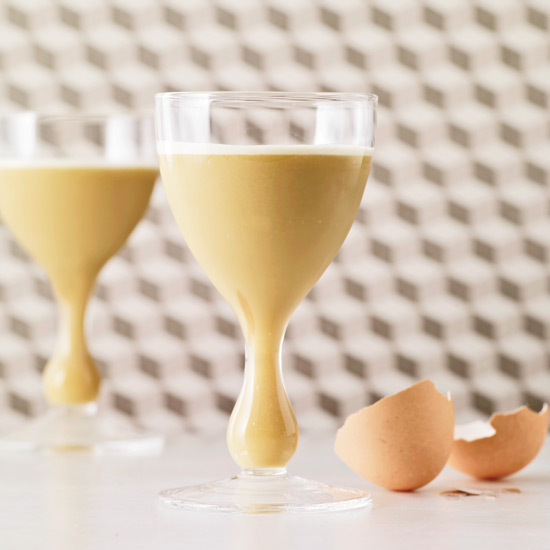 Here, nine fantastic, spring drinks to make with eggs. Limoncello and Campari come together in this crisp, citrusy cocktail. Mezcal provides the smokiness in this unusual Pisco Sour update. The shaken egg white adds a dramatic foamy head. This ultra-creamy whiskey-and-blackberry cocktail is the perfect after-dinner drink. This cocktail gets its “passion” from Parfait Amour (“perfect love”), a sweet violet liqueur flavored with violet petals, orange peel and vanilla bean. Give the classic Silver Fizz an update with jasmine tea-infused gin. Fruity apricot brandy is the base of this deliciously frothy drink. This creamy riff on an Aviation is made with crème de violette, muddled sour marasca cherries and maraschino liqueur. A flip is a drink that contains a whole raw egg. It gives the cocktail a velvety creaminess. This vodka-fortified twist on a vintage gin drink called the Clover Club, raspberry syrup is replaced with fresh raspberries.